Classification and Regression are two major prediction problems which are usually dealt with Data mining and machine learning. Classification is the process of finding or discovering a model or function which helps in separating the data into multiple categorical classes i.e. discrete values. In classification, data is categorized under different labels according to some parameters given in input and then the labels are predicted for the data. The derived mapping function could be demonstrated in the form of “IF-THEN” rules. The classification process deal with the problems where the data can be divided into binary or multiple discrete labels. Let’s take an example, suppose we want to predict the possibility of the wining of match by Team A on the basis of some parameters recorded earlier. Then there would be two labels Yes and No. Let’s take a similar example in regression also, where we are finding the possibility of rain in some particular regions with the help of some parameters recorded earlier. Then there is a probability associated with the rain. Basic Mapping Fuction is used for mapping of values to predefined classes. Mapping Fuction is used for mapping of values to continuous output. Example Algorithms Decision tree, logistic regression, etc. 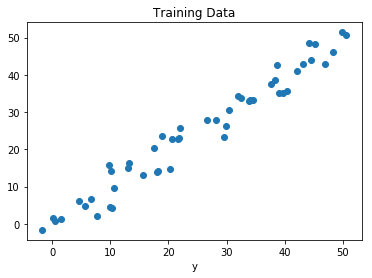 Regression tree (Random forest), Linear regression, etc.